LLS Chapter 331 – The Enemy’s Present! When Yue Yang killed the monster girl with beetle horn, rabbit ears and snake body in one move, the enemies on the other side immediately became dumbstruck. Especially the three monster guys who thought that the Old Dragon Turtle was the strongest enemy. They were completely speechless and in shock. They knew thier comrade’s abilities, they never thought that she would be killed by a young human in an instant. Did this boy possess a godly weapon? The three monster guys didn’t have time to come to rescue when Yue Yang suddenly shot towards the remaining two monster girls. The monster girl with horse hooves, goat’s horns and lion’s tail immediately escaped. On the other hand, the monster girl with fish scales, bird wings and cat claws, who was nearer to Yue Yang, suddenly felt that her body was completely bound by her enemy, unable to move at all. She, who realized that she couldn’t escape in time, became fierce instead, brandishing her claws ruthlessly. She slashed at Yue Yang’s head with her swift claws, emitting a fishy smell that make others want to vomit. It looked like her cat claws which were blcak coloured with a tint of green were infused with poison, which was why it was emitting a fishy smell. Her claws slashed down on Yue Yang’s head. However, Yue Yang disappeared, and the monster girl’s claws slashed empty air. The rocks beneath Yue Yang just now were slashed hard, leaving a deep engraving on them. “Ah…” watching her comrades being killed instantly one by one, the lion-tailed monster girl screamed in fright, as if her soul had flown out of her body. She hurriedly flew towards her monster guys friends, hoping that she would obtain their protection. Her three friends had also swooped down quickly to help. However, a big sword beam appeared in front of their eyes, like a huge tidal wave… They could almost touch their comrade, almost saved her successfully, but in that instant, the sword beam split the air and engulfed her whole body. When those sword beam disappeared, the three monster guys saw that their comrade had been cut into countless pieces of flesh. “Grr, kill, I’m going to kill you!” One of the monster guys with arms like a bear’s turned red in fury as he charged towards Yue Yang like a madman. He wanted to tear Yue Yang into shreds. The other monster guy who looked like a vampire held him back tightly. He had seen it clearly now, the human boy with this huge killing intent was not someone they could take lightly. Even if they want to attack him, they should only do it in a certain situation. Being impulsive would only make everything worse. The monster guy leader with golden hair like lion, bird wings and a treasure sword on his waist gave Yue Yang a deathly stare. He looked at his face intently. He slowly observed Yue Yang’s slaughtering hands, and at the same time, he observed the Hui Jin Magic Blade and Crescent Moon Blade in his hands. With regards to Yue Yang killing the three monster girls in an instant, forget about the enemies, even the Old Dragon Turtle was surprised. Possessing abilities and being able to insta-kill enemies were two separate matters. Under the state where he didn’t unseal his Innate powers, this brat could actually kill his opponent so easily. Furthermore, he insta-killed three enemies in a row. This was not merely the problem with his power. He was also full of killing intent! The Old Dragon Turtle didn’t know how many strong enemies Yue Yang had killed to have such a strong confidence and cold killing intent. Immediately, the Old Dragon Turtle’s evaluation of Yue Yang increased. In his heart, even the Prison Emperor was not as strong as this brat when he was twenty years old! The Prison Emperor was not just an ordinary talented warrior, he was an existence that had always been the number one, unrivalled genius in the Old Dragon Turtle’s heart, for six thousand years. Who else could fight against three Heaven Realm’s big shots and sealed two of them, other than him? Hence, in the Old Dragon Turtle’s heart, there was no one else other than the Prison Emperor. With regards to Yue Yang’s ruthlessness and efficient insta-kill, the Old Dragon Turtle greatly admired him secretly. If this boy didn’t die today, seems like he would be able to chase after the Prison Emperor’s footsteps in the future, becoming a dominating existence. This was because he was the same as the Prison Emperor, he had a true warrior’s heart. A real warrior would strive for self-improvement relentlessly. He would kill all of his enemies without mercy and rule over everyone! “Don’t think that you can be arrogant just because you killed some crossbreed monsters! Boy, you are still a young’un!” That monster guy with golden hair like lion’s glared at Yue Yang as he laughed coldly. “What actually happened here? Isn’t this supposed to be a graveyard?” Yue Yang asked the Phoenix Fairy Beauty bewilderedly. He couldn’t understand why these strange-looking monster people would be here. “So these were only some mix breeds!” When Yue Yang said this, the three monster guys immediately turn red in anger. “They are not truly Heaven Realm Warriors. Looks like they were the offsprings of the Heaven Realm Warriors with some beasts after they took possession of some other beasts’ bodies. Otherwise, their abilities would have been Inante-ranked and above. Also, I would have been able to recognize them.” The Old Dragon Turtle coughed as he spoke. “…” Yue Yang felt that these fellows were too weak. A real Heaven Realm warrior wouldn’t be insta-killed by him so easily, right? “Parasitic Skill, Possessing Art, Reincarnating in corpses, these are all despicable skills that would not only reduce the original user’s powers by a lot, they would also inflict a curse on the user. There were some people in the Thousand Goblins Sect and Demonic Palace that tested out these skills, but they discovered that the failure rate, resulting in death, was extremely high. There was also a high chance that they would lose all their memories and were brainwashed into beasts. Even if they were originally Heaven Realm Warriors, they have probably forgotten the past and had become half human, half beasts monsters. They seem to be living quite well, what am I seeing… Haha, they really looked like fat maggots who are happily twisting their bodies inside a dung!” Phoenix Fairy Beauty Really detested these monsters. In reality, the act of possessing body or parasitic skill were extremely despicable. It had been a taboo since the ancient times. The moment a master tried to possess its beast’s bodies, they would immediately be cursed. Other than death from failure, lost of memories, turning into beasts, reduced powers and getting cursed, there was also the curse from the contract. No matter if it were beasts that were possessed or parasitic, they would never be able to become contracted beasts in the future. Even the grimoire’s guardian beast was not an exception. In the sky, a strong pressure suddenly appeared. The pressure was as heavy as a mountain. Even Yue Yang felt a suffocating presence. This presence was able to pressurized him even at such a far distance. Could this presence be one of the two big shots in Heaven Realm? Yue Yang’s heart trembled a little, thinking that the two big shots of Heaven Realm were really not easy to deal with! A ray of light that looked like meteor streak split through the dark sky, descending down from high up in the sky. Before the presence even arrived, his Qi charged down like a gust of storm. The gust of Qi through the three monster guys who were close to become Innates more than ten metres away, making them looked extremely miserable. Other than Yue Yang and Phoenix Fairy Beauty who didn’t move from their spot, even the old and weak Old Dragon Turtle couldn’t stand straight on his trembling feet. He looked like he could fall anytime. That streak of meteor arrived in a blink of an eye, landing right in front of the Old Dragon Turtle. He stopped in an instant, sending shock waves all around the surrounding, making the ground shake as if there was an earthquake… However, the movements of the person who came was soft and gentle, calm and unperturbed as he floated 2 metres away from the ground in front of the Old Dragon Turtle. From his high position, he looked down upon the old Dragon Turtle. He was an extremely beautiful man, and his appearance looked like the birdman that Yue Yang killed in the Sky Hall. Similarly, he also wear a green hat made from bay leaves. The only difference was that the beautiful birdman’s wings were gold-coloured. The gold colour shone brightly. Faintly, there was an invisible pressure that made others feel pressurized, that even made their willpower weaker. The pressure made others have the urge to bow and worship that pressure. Of course, this kind of pressurizing Qi was nothing much to Yue Yang. Other than feeling that this fellow was pretentious, Yue Yang didn’t feel any bit inferior to him. How could a chosen guy from another world not compare to a mere birdman? What a joke! “Yuan Long, my dearest friend, long time no see. Please forgive this child for not being sensible, there’s nothing we can do about it, because there hadn’t been any guests in our house for a long time. That’s why my children acted a little recklessly. Actually, I should introduce you guys. This one is An Ge, he is my old friend last time, it’s just that his memories are a little problematic.” The beautiful birdman courteously bowed the Innate Greeting towards the Old Dragon Turtle and pointed towards the monster guy leader, explaining that they were all old friends. In the end, he had even smiled towards Yue Yang and Phoenix Fairy Beauty. He looked at Phoenix Fairy Beauty’s face especially long, as a kind of greedy desire appeared in his pupils. However, he quickly hid it under his smile. “You are actually alive?” Seeing the visitor, the Old Dragon Turtle was shocked. “This person is not a crossbreed between human and beast, how could he stay alive?” Yue Yang was also slightly surprised. “Little friend, if you know that there is this thing called the Resurrection Crystal stone in the Heaven Realm, you wouldn’t be that surprised. I admit that the Prison Emperor’s Spatial Destruction at that time was extremely scary, but I didn’t die immediately. I escaped into my Grimoire Space with my destroyed body, and after a long period of recovery, with the help of the power of the Resurrection Crystal, my wounds were finally completely healed. Furthermore, I had also improved. It’s a pity that the Prison Emperor’s Godly Weapon’s restriction was still present, the Spatial Destruction and his willpower still continued to injure my body. I am really sorry, Yuan Long, although I am greeting my old friend, I can’t stay in the Prison Emperor Divine Palace for long. Furthermore, I dislike this damned place! In order to show my greeting, I will give some presents to you!” The beautiful birdman released a blinding light like a sun’s brilliance as his grimoire shone and summoned countless illusions that looked exactly like him. The illusions moved as one as they attacked Yue Yang, Phoenix Fairy Beauty and the Old Dragon Turtle at the same time. is your photo Mushi from dota 2? fried chicken wings….a beautiful fried chicken wings…. Is Deep fried Birdman on the menu tonight? Thanks for the chapter Shiroyukineko! Whoa Heaven Realm fertilizer eh? i got ask. Does this novel has any sequel? or just only 1399 chapters? Thank for thé chapter. I am from Russia. Read your translate with help google translate. It is better original’s translate. My bear saying hello you. 1st ___ 'wear' should be 'wore'. Bay leaves come from an ancient Mediterranean tree called the bay laurel tree or Laurus nobilis, from the family Lauraceae. Besides bay leaves, laurel leaves, or bay laurel, they are also sometimes called sweet bay or true laurel. Spanish speakers call them laurel and in Italian they are alloro. In French, the bay leaf is feuille de laurier. They get hard and brittle fairly quick so they have to be fresh picked ones. Does this guy do hat weaving in his spare time? Are we talking about a laurel wreath? Pausanias wrote that this association with Apollo was probably the only reason that the laurel crown was awarded in the Pythian games since they were held at Delphi, sacred to Apollo. Although we tend to think of all these ancient Greek events as “games,” they were also big religious festivals, and the Pythian festival was in honor of Apollo. These games are sometimes known as “Crown Games” because of the wreaths awarded. Laurel wreaths were also given in many other important areas, such as the arts, literature, government, and education. The Romans took up this tradition and gave laurel wreaths to important people such as military leaders, and others. 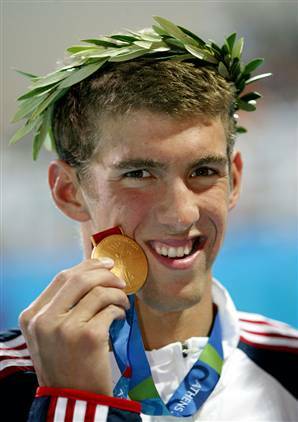 The laurel wreath was a symbol of power for kings, emperors, etc. and Julius Caesar wore a laurel wreath as a symbol of his supremacy. 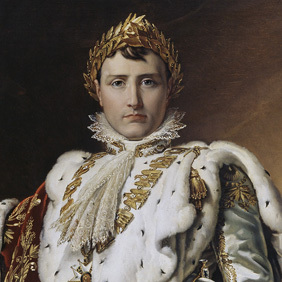 Caesar declared the wreath to be the one symbol of a supreme leader and so, during the Roman Republic, only the supreme leader wore the Laureate Corona. These had ceased to be made with actual laurels, and were made instead with gold and precious stones. This led to the modern crown of Kings and Emperors. In the first “modern” Olympics games, held in Athens in 1896, second place winners received a bronze medal, a laurel wreath crown, and a certificate. First place winners received an olive crown and a silver medal. Gold medals were not given out until the 1904 Games in St. Louis. The expression “rest on your laurels” comes from these traditions. And in education, the term baccalaureate and bachelor are derived from the word baccalareus or laurel berry, stemming from the Roman tradition of awarding great scholars or poets with laurel wreaths.